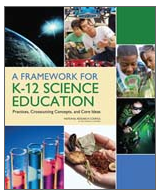 A well-written article about the new Framework for K-12 Science Education from NSTA Reports. The article provides an overview of the framework and also describes how the Next Generation Science Standards will be created. Read the article here.